Agartala: Even though there is no major terror threat along the India-Bangladesh border, border forces of both countries are maintaining a strict vigil, Border Security Force and Border Guards Bangladesh officials said here on Wednesday. "There is no major problem along the India-Bangladesh borders. Trans-border crimes along these borders have reduced drastically. 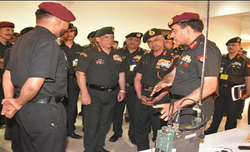 However, we are tightening the security along the India-Bangladesh borders," Additional Director General of Border Guards Bangladesh (BGB), Brigadier General Mohammad Habibul Karim told reporters after a four-day BSF-BGB border coordination conference. "For better guarding of the borders, the Border Guards Bangladesh is setting up 35 new border outposts. We have a plan to set up 50 more such posts along the frontiers with northeastern states of India to check trans-border movement of inimical elements. The new posts are being set up at those places that have remained unguarded for 40 years," he added. Karim, who led a 19-member BGB delegation to the conference, said the relation between the BGB and Border Security Force (BSF) is excellent and there is no problem between the two forces. Karim, however, said the Bangladesh government has taken steps to bolster security along the 400km Bangladesh-Myanmar border. 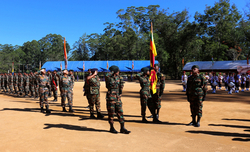 "The BGB is setting up 17 new border outposts along Bangladesh-Myanmar border. The unfenced 400 km border with Myanmar is problematic at times," he added. The BGB deputy chief said cattle smuggling from India is a cause of concern for Bangladesh. "Due to cattle smuggling from India, Bangladeshi cattle farms are incurring loss. 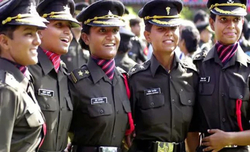 We have requested the Border Security Force officials to take appropriate steps to curb cattle smuggling," Karim said.BSF's Inspector General in Meghalaya, P.K. Dubey, led the Indian delegation. Dubey said the BSF is also setting up 508 new border outposts in addition to over 1,200 existing posts along the 4,096-km India-Bangladesh border in West Bengal, Assam, Meghalaya, Mizoram and Tripura to curb trans-border movement of militants and to check crimes. "Crimes along the India-Bangladesh border have drastically reduced. 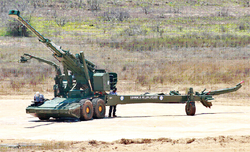 However, we would not be complacent and continue to increase security," Dubey told reporters. He said of the 1,880-km border in the northeastern states of Tripura, Assam, Meghalaya and Mizoram, there are nine places where border fencing is required to be erected along the 'zero line' instead of 150 yards behind the border.